Law 19/2012 of 8 May (the Competition Act) is the main statute applicable to Portuguese merger control. It is enforced by the Portuguese Competition Authority (AdC), which was created in 2003 by Decree Law 10/2003 of 18 January. the creation of a joint venture performing on a lasting basis all the functions of an autonomous economic entity (a full-function joint venture). Control is defined as any act, irrespective of the form it takes, implying the possibility of exercising a decisive influence over the activity of an undertaking on a lasting basis, whether solely or jointly. It results, inter alia, from the acquisition of all or part of the share capital, the acquisition of ownership rights or rights to use all or part of an undertaking's assets, or the acquisition of rights or the signing of contracts that confer a decisive influence on the composition of the corporate bodies, voting rights or decisions of the undertaking's corporate bodies. there is the acquisition, creation or reinforcement of a national market share exceeding 30 per cent but lower than 50 per cent and the Portuguese individual turnover of at least two parties exceeds €5 million. The calculation of the turnover under the Competition Act closely follows the European Merger Regulation EC 139/2004 (EUMR), including the replacement of the turnover by the sum of a set of items in the case of banking and insurance undertakings. Since two of the notification thresholds are based on the market share, some uncertainty may arise. Special attention is necessary in these cases, as the AdC has proved to be extensive in its interpretation of the parties' market share threshold. In particular, this can be met by the target company alone (even in the absence of overlap between the parties). Two or more concentrations between the same natural or legal persons within a period of two years, even when individually considered as not being subject to prior notification, are considered a single concentration subject to prior notification when the concentrations together reach the turnover thresholds. Although not a concentration, the creation of a joint undertaking not performing all the functions of an autonomous economic entity may still be subject to the Act, and assessed as a restrictive practice, if it has as its object or effect the coordination of the competitive behaviour of independent undertakings, beyond the aim of creating the joint undertaking. In 2014, the new statutes of the AdC were adopted (Decree Law 125/2014, of 18 August). They maintain one important merger control rule already present in the previous statutes: the possibility of appealing a prohibition decision to the Minister of Economy (as described below). 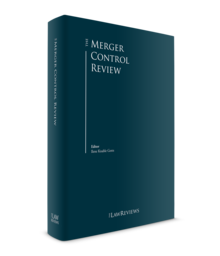 Other important merger control (procedural) rules have been adopted by the AdC in the past few years in several regulations and guidelines, and these are discussed throughout the chapter. On a subsidiary basis, the Administrative Procedure Code (Decree Law 4/2015, of 7 January) is applicable to the merger control procedures conducted by the AdC, rules of the Administrative Courts Procedure Code (Law 15/2002, of 22 February, as amended) apply to the judicial review of the AdC's decisions in administrative proceedings concerning merger control, and the misdemeanours regime (under Decree Law 433/82, 27 October, as amended) applies on a subsidiary basis to administrative offence proceedings regarding merger control (e.g., gun jumping). The merger control regime in Portugal closely follows the European Union merger control regime. Mergers meeting the thresholds of the EUMR, although having effects in Portugal, are subject to the exclusive jurisdiction of the European Commission (Commission). The Competition Act also sets forth the possibility to file notification before executing the relevant agreements, provided the parties show a serious intention of implementeing the concentration. Pre-notification contacts can be held on an informal and confidential basis, as a way to determine, for example, if the transaction is subject to notification (you may find a more detailed analysis of this procedure below). In 2017, there is record of 50 concentrations notified2 to the AdC (against 64 concentrations notified in 2016). From the 50 concentrations notified, 46 were decided in 2017 and two in 2018, all approved in Phase I without commitments. However, there are two concentrations that have not yet been decided, as the AdC opened in-depth investigations (RUBIS/Ativos Repsol and Altice/Media Capital). Up until 7 June 2018, 24 concentrations had been notified to the AdC in 2018, 19 were authorised in Phase I without commitments and five (considering the two concentrations currently under Phase II filed in 2017) are still pending. Of all the concentrations notified to the AdC, only two were withdrawn by the notifying parties, both of them concerning the financial sector. There are some cases worth mentioning. The only concentration subject to a Phase II in 2016 involved the acquisition of exclusive control by SIBS, SGPS, SA, (SIBS) of a group of assets of Unicre – Instituição Financeira de crédito, SA (UNICRE) related to its merchant acquiring activity. The concentration was notified to the Authority on 8 September 2016. SIBS is the holding company of the SIBS Group, specialist in complex interbank payment environments. SIBS supports several central banks, interbank processors and individual public and private bank initiatives in launching and reforming payment systems, comprising all card-related, terminal network driving and other payment-related solutions. Unicre is a financial and credit institution and the assets object of the merger refer to its merchant acquiring business area, under the Redunicre brand, which designs and commercialises solutions for accepting payments in shops, both physical and virtual, with payment cards from the main national and international payment systems, including, among others, MB, Visa and MasterCard. In December 2016, the Authority adopted a decision to open an in-depth investigation into the concentration on the grounds that, given the information gathered during Phase I of the proceedings, including the comments of interested third parties, there were indications that the concentration may result in significant impediment to competition (SIEC) in the market for merchant acquiring services through physical POS. The interested parties admitted in the proceedings, which have submitted observations on the operation, include the Portuguese Association of Retailers, Portuguese financial institutions with acquiring business in Portugal and Visa Europe Services, Inc. In July 2017, the AdC issued a draft prohibition decision, as it considered that such transaction would strengthen the barriers to entry and competition in the market, which could ultimately lead to a monopoly in the Portuguese payment system. Following such decision, SIBS withdrew the notification. In December 2017, the AdC imposed a fine of €38,500 on two undertakings of Vallis Group, Vallis Sustainable Investments I, Holding S.à.r.l. and Vallis Capital Partners, SGPS, SA, for failure to notify the acquisition of sole control of 32 Senses, a network of dental-care clinics. In setting the fines, the AdC took into consideration the turnover of both companies in 2016 as well as the settlement submissions of the parties. In fact, the parties confessed the facts of the case and accepted full responsibility for the facts, thus benefitting from the settlement procedure. The AdC took into consideration the acknowledgment of the facts by the parties, the notification subsequently filed by the companies, the absence of competition concerns resulting from the merger and the full cooperation with the investigation. This was the second fining decision of the PCA for failure to notify a concentration meeting the notification thresholds under the Competition Act. The RUBIS/Ativos Repsol concentration was notified to the AdC in September 2017 and it involves the distribution of LPG through pipeline, in bulk and in bottles. Rubis intends to acquire part of Repsol's LPG distribution business in the islands of Madeira and the Azores, as well as the networks in mainland Portugal. Currently, three players (GALP, REPSOL and RUBIS) control the supply and distribution of LPG in Azores and Madeira. This concentration will therefore necessarily reduce to two the number of players in this market. Based on the evidence gathered, the AdC considered that this concentration may significantly restrain competition and can have a negative impact on the supply conditions of LPG to final consumers in the islands of Madeira and the Azores. Therefore, in January 2018, it decided to proceed to an in-depth investigation to ascertain whether this further merger is likely to result in competition concerns. The Altice/Media Capital concentration consists of the purchase by Serviços de Telecomunicações e Multimédia (MEO), of the entire share capital of Vertix, SGPS, which owns 94.69 per cent of the share capital of Media Capital, and of the remaining share capital in the securities' markets. The particularity of this concentration lies in the fact that MEO is the primary player for electronic communications in Portugal, while Media Capital owns TVI, the main Portuguese free-to-air broadcaster. In light of the elements gathered, and taking into account the opinions received from the competent regulatory authorities – National Communications Authority (ANACOM) and the Portuguese Regulatory Authority for the Media (ERC) – the AdC notified all the parties involved in February 2018 – of its decision to open an in-depth investigation phase. The AdC justified its decision with the serious doubts arising from the compatibility of this concentration with effective competition in the Portuguese market, notably in what concerns to the possible foreclosure of the retail markets for pay-TV and multiple play. In order to obtain the approval from the AdC, Altice has proposed some remedies that included the separation of its channel distribution, content, advertising and digital-terrestrial television and the creation of an independent figure to monitor the compliance with said commitments. However, the AdC has recently rejected Altice's remedies, arguing that they were not specific enough and failed adequately to address the question of potential non-compliance and distortion of the market. Consequently, Altice retrieved the notification and the AdC terminated the proceedings on 19 June 2018. Prior notification is mandatory, with no exceptions, for concentrations meeting the notification thresholds. A concentration subject to mandatory notification must not be implemented prior to being notified and authorised (or before a specified lapse of time) by the AdC. The notification must be filed by the undertaking or undertakings or person or persons acquiring control. The parties involved in a full merger or in the creation of a joint venture are responsible for jointly notifying the merger. In submitting the notification, the notifying parties are required to use the notification forms of Regulation 60/2013, of 14 February, which sets the procedural rules for merger notifications. Since 2009, merger notifications can be submitted electronically. Notifications only become effective with the payment of the filing fee (as defined in Regulation 1/E/2003 on merger control procedure fees, of 25 July, and which vary between €7,500 to €25,000 according to the turnover of the undertakings concerned). An additional filing fee, corresponding to 50 per cent of the base fee, must be paid upon the opening of a Phase II investigation. Concentrations that take place or may produce effects in the Portuguese territory must be notified if one of the three thresholds mentioned in Section I, above, is met. It is sufficient that at least one of the parties has direct or indirect sales in Portugal (even through an agent or distributor), even if any of the parties are established or have assets in Portugal. Foreign-to-foreign transactions must be notified if the jurisdictional thresholds are met. The substantive assessment applied by the AdC is the significant impediment to SIEC, as set out in the EUMR. Concentrations likely to give rise to a SIEC in the national market or in a substantial part of it will be prohibited. To determine the effects of the concentration on the structure of competition, the AdC will take into consideration the structure of the relevant markets, the position of the undertakings and their competitors in the relevant markets, the purchaser's market power, potential competition and the existence of barriers to entry. The AdC's assessment can also include the consideration of any technical and economic progress that does not constitute an impediment to competition, provided there are efficiency gains that benefit consumers resulting directly from the concentration (efficiency defence), as well as the control of essential facilities by the parties and the possibility of access to these facilities provided for competing undertakings. The AdC's draft Guidelines on economic assessment of horizontal mergers, published in February 2013, set out its methodology on the analysis of concentrations. A decision authorising a concentration is considered to cover the restrictions directly related to the implementation of the concentration and necessary for it. Some of the ancillary restraints included in authorised concentrations include non-compete obligations between the seller and the acquirer in order to preserve the value of the acquired business, non-solicitation of customers and workers, and non-compete obligations between a joint venture and parent companies. There are serious consequences for not filing a concentration subject to mandatory notification. The most important consequence is the lack of production of legal effects for transactions implemented before notification and clearance. Transactions implemented in breach of a prohibition decision are null and void. The AdC may also revoke a concentration that has been implemented in disregard of a decision of non-opposition imposing conditions or obligations. The AdC may impose on the notifying parties fines6 of up to 10 per cent of the turnover of the year immediately preceding the final decision issued by the AdC for each of the undertakings concerned. Persons holding positions in the managing bodies or responsible for the supervision of the relevant department may also be held responsible, with fines of up to 10 per cent of their annual income applying. In cases of failure to notify, a periodic penalty payment of up to a maximum of 5 per cent of the average daily turnover in the year immediately before the decision can be imposed for each day of delay. If the AdC becomes aware of a concentration subject to mandatory filing being implemented within the prior five years that was not previously notified, it can initiate ex officio proceedings, in which case the filing fees double. The AdC can order the separation of the undertakings or of any aggregated assets, including the unwinding of the transaction or cessation of control, or take all the measures deemed necessary to restore the situation that existed prior to the concentration. In situations in which a notified concentration was implemented before clearance, the AdC can order that the parties who acquired control immediately suspend their voting rights, that the board of directors not undertake any act that is not an act occurring in the ordinary course of managing the business, and can prohibit the disposal of shareholdings or parts of the assets of the acquired undertaking. Penalties for implementing an operation before express or tacit clearance by the AdC are similar to the ones levied for failure to notify. In December 2012, the AdC issued its first decision for breach of the prior notification obligation during the modernised competition rules, in the ex officio Farminveste/Pararede case,7 which concerned the acquisition, in June 2008, of sole control of Glintt – Global Intelligent Technologies, SGPS, SA by Farminveste – Gestão de Participações, SGPS, Lda. Three undertakings were fined €150,000 for implementing a concentration before receiving clearance. This decision was later quashed by the Competition, Regulation and Supervision Court (the Competition Court) on grounds of infringement of the defendants' defence rights. In a subsequent procedure regarding the same case, the AdC settled with the undertakings concerned for €118,837. This shows that the settlement procedure may used in these kind of cases. In December 2017, and on the same basis, the AdC imposed a fine of €38,500 on two undertakings of Group Vallis, Vallis Sustainable Investments I, Holding S.à.r.l. and Vallis Capital Partners, SGPS, SA, for failure to notify the acquisition of sole control of 32 Senses, a network of dental-care clinics. There is no fixed deadline for the notification filing; however, concentrations meeting the notification thresholds must not be implemented prior to being notified and authorised, or before a tacit decision is made by the AdC (standstill obligation). The merger may be notified after the execution of the relevant agreement or, in the case of public offers of acquisition or exchange, following the date of the preliminary announcement of the public offer, or of the announcement of the acquisition of a controlling shareholding in an undertaking with shares listed on a regulated stock market. Concentrations resulting from a public procurement procedure may be notified after the awarding decision and before the public contract is executed. Concentrations may be also notified before the execution of the relevant agreement (voluntary notification) when the parties to the concentration offer a serious intention to conclude an agreement (e.g., by signing a letter of intent or a memorandum of understanding) or, in the case of a public offer of acquisition or exchange, where they have publicly announced their intention to make such an offer. The notifying parties may, on a confidential and informal basis, enter into pre-notification contacts with the AdC up to 15 days before the expected notification date, according to the procedure set down in the Guidelines on pre-notification procedure (of 27 December 2012). Such contacts are designed to help determine whether the transaction is subject to notification, to identify relevant markets and which information needs to be provided and to explore possible competition concerns. As this pre-notification phase is not mandatory, there is not much information available on the estimated length of these pre-notification contacts, but in practice they take at least 15 days to one month. The assessment of a concentration may involve two phases (Phases I and II). In Phase I the AdC will assess whether the concentration will result in SIEC in the relevant markets. Within 30 working days (extendable if information requests are made to the notifying parties), the AdC must conclude Phase I and take one of the following decisions: that the case does not amount to a concentration; clear the concentration (with or without commitments); or open an in-depth investigation (Phase II) if it has serious doubts that the concentration will result in SIEC. The majority of concentrations in Portugal are decided in Phase I. Phase II investigations must be concluded within a maximum time limit of 90 days from the date when the notification becomes effective. In practice, a period of 30 (or more) working days for Phase I, and a period of 60 working days for Phase II, respectively, are common. Upon request by the notifying party or with its agreement, the global time limit can be extended by the AdC for a period of up to a maximum of 20 additional working days. Within 75 working days from notification, the AdC hears the notifying parties and interested parties (unless the AdC intends to adopt a non-opposition decision without imposing conditions). At the end of Phase II, the AdC may adopt either a clearance decision (with or without commitments) or a prohibition decision.8 Prohibition decisions can only be adopted in Phase II, with the exception of the merger in the Ongoing/Prisa/Media Capital case,9 which was prohibited in Phase I following the binding negative opinion of the media regulator (see below). Both the 30 and the 90-working-day deadlines may be suspended if requests for additional information are made by the AdC to the notifying parties, if parties offer commitments (suspension for 20 working days), and in the case of a prior hearing of the notifying parties or of interested third parties having submitted observations. If no decision is adopted within the time limits (including suspensions), a non-opposition decision is deemed to have been made (tacit decision). To date, there have only been three tacit decisions, all in 2003 (the year of the AdC's creation). In 2013, the notifying parties to the acquisition of Sport TV appealed to the Competition Court claiming that a tacit approval had occurred (due to the issuance of a legal opinion by the media regulator after the expiration of the deadline established), which the AdC rejected. The Competition Court agreed with the AdC. The notifying party can at any time withdraw the notification as well as renounce its rights or legally protected interests, except in those cases stipulated in law. Since 2012, a simplified procedure has been available for concentrations that, on a preliminary assessment, do not pose significant impediments to competition. The simplified notification form requires a lower level of information to be provided to the AdC. Under Regulation 60/2013, the simplified notification form may be used to notify concentrations where there are no horizontal overlaps, where the combined market share does not exceed 15 per cent (or 25 per cent if the share increase is not higher than 2 per cent) in horizontal mergers, or where the combined market share does not exceed 25 per cent in vertical or conglomerate mergers. In July 2007, the AdC adopted its Simplified Procedure Guidelines, setting out a simplified (and faster) decision procedure available for concentrations that are not likely to raise competition concerns, such as concentrations that do not entail a significant change to the competitive structure of the market (no overlap), concentrations that have no significant horizontal or vertical effects (or negligible effects), or concentrations that do not amount to a concentration subject to mandatory pre-notification. Pre-notification contacts with the AdC can substantially reduce the need for information requests, which stop the clock. Additionally, a voluntary notification is possible whenever the parties to the concentration offer a serious intention to conclude an agreement, which can also anticipate a decision by the AdC. The notifying parties may offer commitments in Phase I when necessary to gain the approval of the AdC. In the EDP Renewables/Sociedades Ventinveste case,10 the acquisition by EDP Renewables, the Portuguese leading renewable energy operator, of several companies that managed wind farms, was decided in Phase I, with the offering of commitments by the notifying party. However, in the Altice/Media Capital,11 even though Altice proposed (during Phase I), some remedies concerning competition and media pluralism, the AdC did not consider them to be sufficient or adequate and decided to open an in-depth investigation. This case was filed in 2017 and is still ongoing. Within a time limit of five working days counting from the day when the notification becomes effective, the AdC will, at the expense of the notifying party, publish the key elements of the concentration in two daily national papers and set a time limit of no less than 10 working days for interested third parties to submit observations. Interested third parties that submit concerns regarding the concentration are considered opposing parties and are entitled to intervene in the prior hearing. Prior to the adoption of any decisions (non-opposition or prohibition decisions), third parties that have already intervened in the procedure shall be heard. The prior hearing suspends the time periods for the adoption of the decision for at least 10 working days. Third parties opposing the transaction may also access a non-confidential version of the AdC's file in both Phases I and II information regarding the internal affairs of the parties may be considered by the AdC to be confidential if disclosure of such information to interested parties or third parties could cause serious damage. Third parties can appeal AdC decisions adopted in the context of merger control. The notifying parties may, at any time in Phase I or II, on their own initiative or after an informal invitation from the AdC, submit commitments with a view to ensuring that effective competition is maintained. Remedies can only be submitted by the parties, which must negotiate them with the AdC. The AdC recommends that, in Phase I, parties submit commitments within 20 working days from notification and in Phase II, within 40 working days following the decision to open an in-depth investigation. The submission of commitments suspends the time limit for the adoption of a decision for a period of 20 working days counting from the first working day following the submission of commitments and expiring on the day that the notifying party is informed of the AdC's decision to accept or refuse such commitments. The AdC will refuse commitments whenever it considers that the submission is a delaying tactic, or that the commitments are insufficient to remedy the competition concerns.12 A complaint may be lodged against the refusal decision, but no autonomous appeal is allowed. The authorisation of a concentration with remedies may be subject to conditions or obligations that are designed to maintain effective competition. The Guidelines on Remedies (of 28 July 2011) set out detailed procedural rules on the proposal, negotiation and implementation of remedies, in line with the Commission's practice. Commitments may include structural (such as divestments) or behavioural commitments. Both were already accepted by the AdC. Behavioural remedies are normally permitted by the AdC (even in decisions where divestitures have been imposed), although in its Remedies Guidelines it declares that divestitures are preferable to behavioural commitments. the agreements related to the merger being considered null and void. Merger control decisions are appealable to the Competition Court13 as special administrative judicial cases. Appeals must be lodged within three months of a merger's notification (although when the decision is null and void, there is no time limit for the appeal). The appeal does not have a suspensive effect unless such provision is established in the interim measures duly handed down. 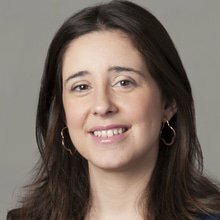 Rulings handed down by the Competition Court in administrative cases are appealed to the Lisbon Appeals Court within 30 days of the appealed ruling. Appeals focusing on issues of law must be lodged directly to the Supreme Court of Justice. Appeals against rulings by the Lisbon Appellate Court are lodged at the Supreme Court of Justice and must be limited to issues of law. These appeals do not have suspensive effect. According to publicly available information, to date, only the prohibition decision in the Arriva/Barraqueiro case14 (the Competition Court upheld the decision and an appeal before the Lisbon Appeals Court is now pending), the clearance decision in the Arena Atlântida/Pavilhão Atlântico case15 (appeal lodged by a third-party competitor to the Competition Court, meanwhile dismissed) and the clearance decision in the case SUMA/EGF16 (an appeal to the Competition Court, which was lodged by third parties opposing the concentration, is currently pending) have been appealed. In an appeal lodged before the Competition Court in 2014, the notifying parties requested the annulment of the AdC's decision to initiate an in-depth investigation based on the argument that the approval of the Controlinveste*ZON*PT/Sport TV*PPTV*Sportinveste merger had occurred by tacit consent. The appeal was denied by the Competition Court. Under the Statutes of the AdC, prohibited merger decisions may also be appealed by the notifying parties to the Minister for the Economy within 30 days from the notification of the prohibition decision. The Council of Ministers may overturn a prohibition based on fundamental national economy interests that override the competition concerns of the concentration. This appeal has only been used once, in the Brisa/AEA case,17 a decision that had originally been prohibited as it would create a market share of more than 75 per cent in some point-to-point routes. The AdC has exclusive competence to decide on concentrations subject to mandatory prior notification. However, concentrations in markets subject to sectoral regulation (such as telecommunications, energy, transport, postal services, financial services, capital markets, insurance, health and media) are also subject to sector-specific legislation, which may involve additional assessment by the relevant regulatory AdC. The AdC, prior to making a final decision, must request the opinion of the sectoral regulatory AdC, setting a reasonable time limit for its response. In general, with the exception of Entidade Reguladora para a Comunicação Social, the media regulator, such opinions are not binding. When the opinion is binding, the time limit for the AdC to adopt a final decision is suspended. The absence of such binding opinion does not, however, prevent the AdC from adopting a final decision. In the Ongoing/Prisa/Media Capital case,18 a concentration that involved the acquisition of joint control of Media Capital, which is active in the television and radio sectors, the AdC prohibited the merger (in Phase I) even though it raised no competition concerns, following the negative binding opinion of the media regulator, which considered the concentration to be likely to restrict media plurality and freedom of speech. In the Altice/Media Capital19 case, the concentration was also subject to regulatory review as it concerned both the electronic communications and the media sectors. Therefore, the AdC requested both ANACOM and ERC to issue an opinion on the impact of said concentration in each sector. ANACOM issued a negative opinion, considering that the transaction as it was envisaged could create significant impediments to effective competition in several electronic communications market and ERC stated that the envisaged transaction raised several risks to media pluralism, such as the increase of contents' uniformity in Portugal, preventing the growth or entry in the market of rival content production companies. ERC's decision in this case was not considered to be binding, as the board did not issue a unanimous negative resolution. Mergers in particular sectors (such as insurance, banking and media) must also be approved by the relevant regulatory authorities. Several concentrations meeting the notification thresholds of the Act have been referred to the Commission under Articles 4(5) and 22(4) of the EUMR. Under the EUMR, the AdC has a regular and intensive cooperation agreement in place with the Commission and the national competition authorities of the other EU Member States (in particular, the AdC and the Spanish Competition AdC hold monthly meetings). It also takes part of the European Competition Network, the International Competition Network and the European Competition Authorities Association. Moreover, both the regular and simplified forms require the notifying parties to indicate if and in which other national competition authorities the notified concentration has also been filed. The acquisition of a minority shareholding is only deemed a concentration if it confers control, either sole or joint, on the acquirer, and will only be notifiable if it meets the notification thresholds. the acquisition by credit institutions, financial institutions or insurance companies of shareholdings in undertakings held on a temporary basis and acquired with a view to reselling the shareholdings, provided they are not to be held on a lasting basis and no voting rights are exercised in respect of such shareholdings. The acquisition by the state of a controlling shareholding in a credit institution, or the transfer of its business to a transition bank as ordered by the Bank of Portugal, is also not considered to be a concentration (Article 20(1) of Law 63-A/2008, of 24 November, as amended). Although the AdC has been paying close attention to cartels – having conducted several dawn raids last year – there was also a considerable activity in what regards merger control review. In fact, since the end of 2017, the PCA has imposed a fine on undertakings for failure to comply with the prior notification obligation and opened two in-depth investigations into mergers notified by the involved parties. We can expect this attitude to continue in 2018. In its priorities for 2018, the AdC undertook to be more effective in the merger control procedures, in order to avoid unnecessary burdens on the companies. It also promised to pay special attention to non-notified mergers implemented in the past five years without its prior approval. We also highlight that the key economic sectors under the PCA's scrutiny this year will include banking, financial markets and insurance, telecommunications and media, energy and fuel, health and pharmaceuticals, education, distribution and food, the environment and waste management, liberal professions, transport and infrastructure, and construction. Among other observations and recommendations, the PCA indicates significant growth in what concerns the fintech industry21 that will raise several challenges for the financial sector, particularly in the banking market. As for ongoing cases, the AdC is expected to decide on the RUBIS/Ativos Repsol and Altice/Media Capital mergers. A decision regarding the appeal from the Competition Court's decision that confirmed AdC's decision to prohibit the Barraqueiro/Arriva Investimentos merger is expected in 2018. 1 Rita Leandro Vasconcelos is a counsel and Inês Ferrari Careto is a trainee lawyer at Cuatrecasas. 2 There were 54 final decisions. 3 Case 39/2017 – RUBIS/Ativos Repsol. 4 Case 35/2017 – Altice/Media Capital. 5 Case 11/2010 – Triton/Stabilus. 6 Fines are calculated according to the AdC's Guidelines on setting fines, of 20 December 2012. 7 Case 47/2009 – Farminveste/Pararede. 8 To date, there have been only five prohibition decisions in Portugal: Arriva/Barraqueiro (Case 37/2004, 25 November 2005); Petrogal/Esso (Case 45/2004, 14 December 2005); Brisa/AEO/AEE (Case 22/2005, 7 April 2006); TAP/SPDH (Case 12/2009, 19 November 2009); and Controlinveste/ZON Optimus/PT (Case 4/2013, 31 July 2014). 9 Case 41/2009 – Ongoing/Prisa/Media Capital. 10 Case 55/2015 – EDP Renewables/Sociedades Ventinveste. 12 Case 4/2013 – Controlinveste*ZON*PT/Sport TV*PPTV*Sportinveste. 13 Created by Law 46/2011, of 24 June. 14 Case 37/2004 – Arriva/Barraqueiro. 15 Case 38/2012 – Arena Atlântida/Pavilhão Atlântico. 16 Case 37/2014 – SUMA/EGF. 17 Case 22/2005 – Brisa/AEA. 20 Case COMP/M.7499 – Altice/PT Portugal. 21 The PCA recently published a paper for public consultation on Technological Innovation and Competition in the Financial Sector in Portugal, which reviews the potential competition consequences of the entry of new fintech companies in the financial sector.